This post has been a long time coming as I wanted to use the products a few times before giving my view on it. 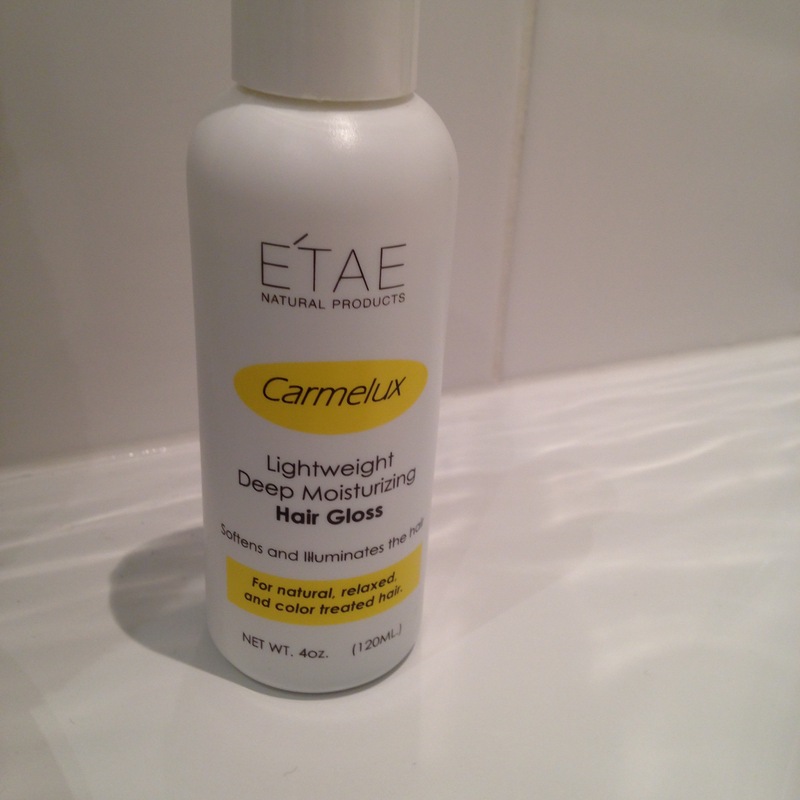 After a friend tagged me in one of their instagram posts, I purchased the E’TAE Hair range for children – what I understood from the posts was that you can blowdry and straighten your hair without heat damage [people have testified to healthier hair] plus the hair stays straight until your next wash so I thought it might help with our hair struggles besides the ingredients os the reconstructing treatment is all natural. At that time, I was quite desperate to find solution(s) to the little woman’s constant matting and the damage I had caused to her hair with the texturiser so decided to give this a go… Verdict? Fantastic results! 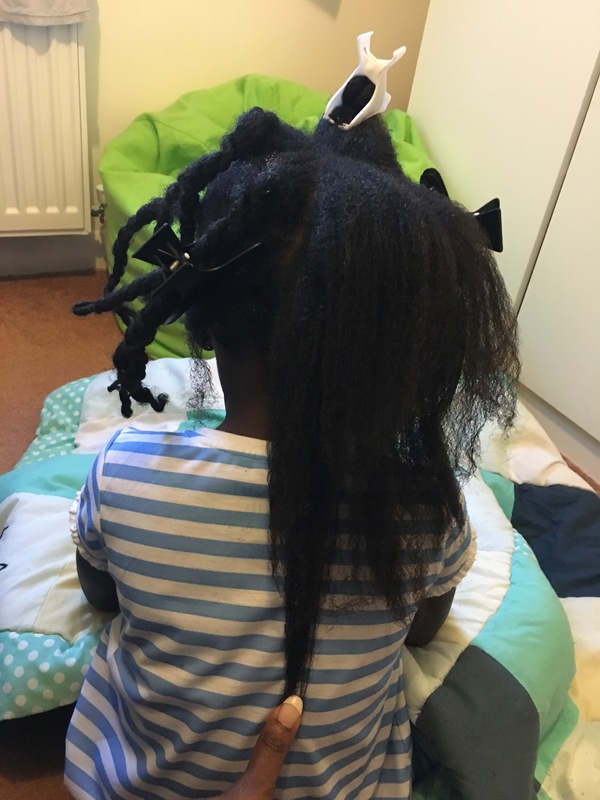 It loosened her curls from the first time we used it which means matting has reduced, detangling less painful and styling less of a hassle [as she’s tender-headed, she naturally fusses when you touch her hair] even in-between washes. The ‘Deep Reconstructing treatment’ is my fav of the range, I like the kids shampoo bar as well but would prefer liquid form sometimes. I have actually been a little miserly with it because the UK salon that sells don’t carry the kids range [at least when I checked] so I got a friend, who lives in the US to purchase and post to me. Step 1 – I start off with the Carmel deep constructing solution. I detangle her hair with coconut oil and conditioner [part hair in four sections] prior to applying the Carmel. Then I let it sit in her hair for about 20-30mins[with a shower cap ofcourse]. Step 2 – Rinse thoroughly. 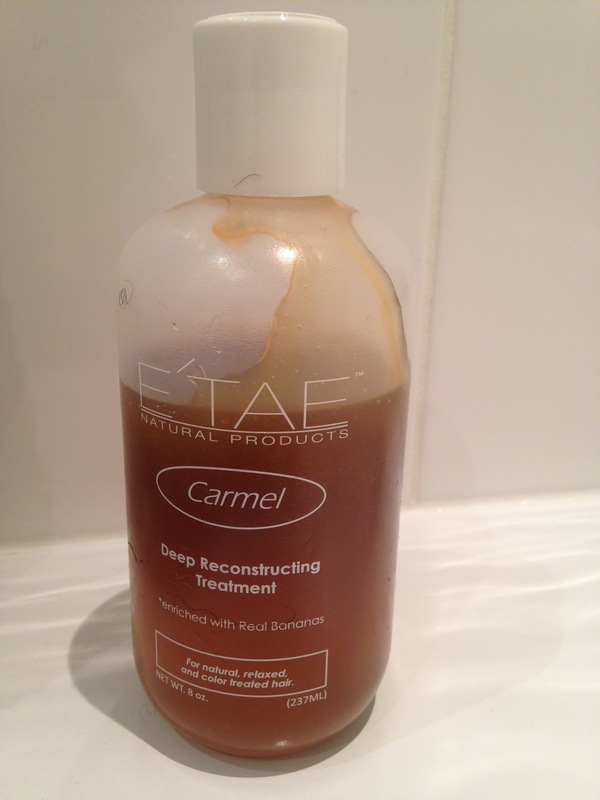 The carmel solution is very sticky so it needs to be completely rinsed off before you attempt to wash the hair. Step 5 – pat dry with one of her dad’s cotton tshirts, apply the hair gloss and style. we had started a daily ‘moisturising’ regimen at this point… notice the clumps? current length – love her hair! Based on all the reviews I am reading, it seems that everyone is using this product to soften their child’s (or their) hair in order to flat iron the hair and the product provides a longer straightened timeframe. But what about natural hair that isn’t going to be flat ironed. My daughter has natural curly hair (the tight spirals) usually seen in a “mixed” person. I’ve noticed if her hair is dry it quickly suffers breakage. 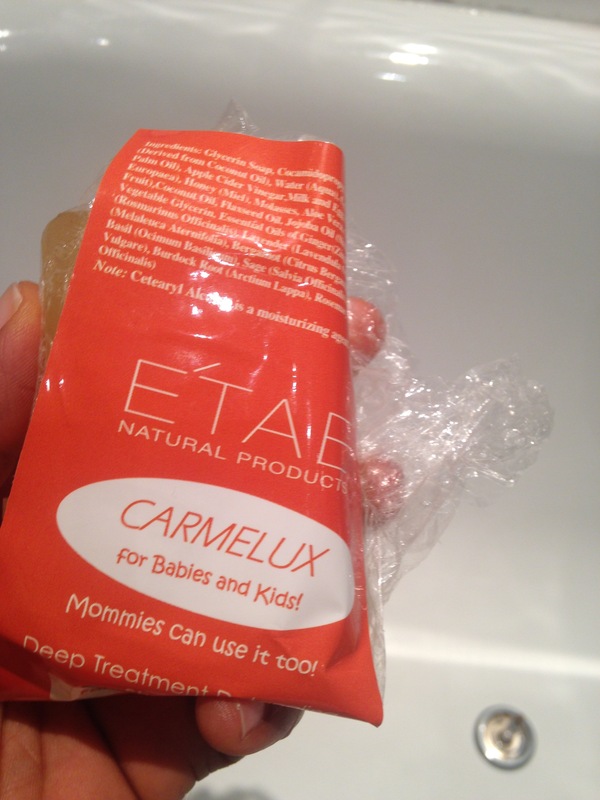 So I searching for a product that provides moisture, minimize frizzy, and promotes growth. I don’t want to flat iron her hair but to enhance the sound and moisture of her hair…. Does this product with for that? Hi Lee, you are right about the flat iron part as that’s the key selling point of the product however we use it to reduce matting in her hair and as I said in the post – is an amazing improvement for her hair. Also I’ve never used heat on her hair cos she hates the sound haha, even I rarely use heat in my hair, besides I put her hair always in twists so we rarely experience frizz. – weekly deep-conditioning for about 6weeks? 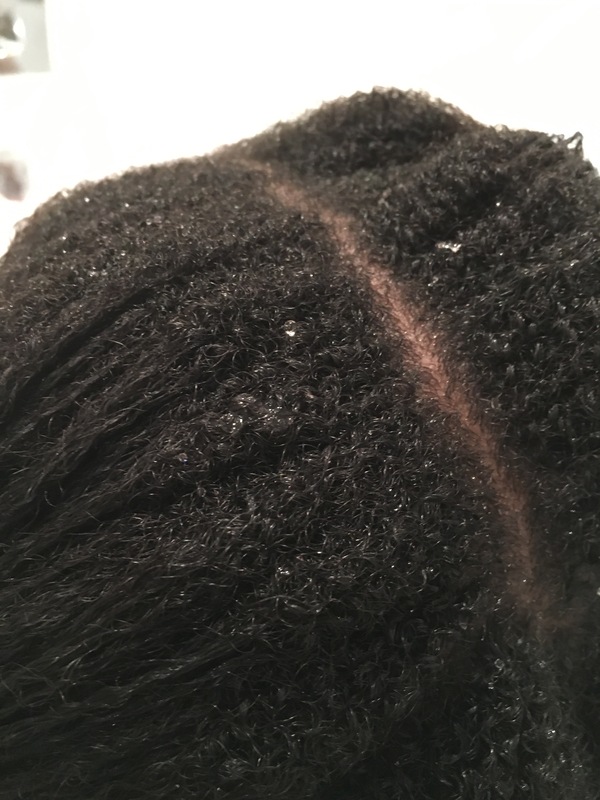 – daily LOC method (I have a post on this as well) to keep moisture in her hair. – stop using towel to dry her hair, try a cotton t-shirt instead to ‘dab’ the hair when wet. Separate from E’tae, we DC every month and I LOC evryday either in the morning or before bedtime. You should hopefully see some improvements… Will you let us know if you do try it? Thanks a million! 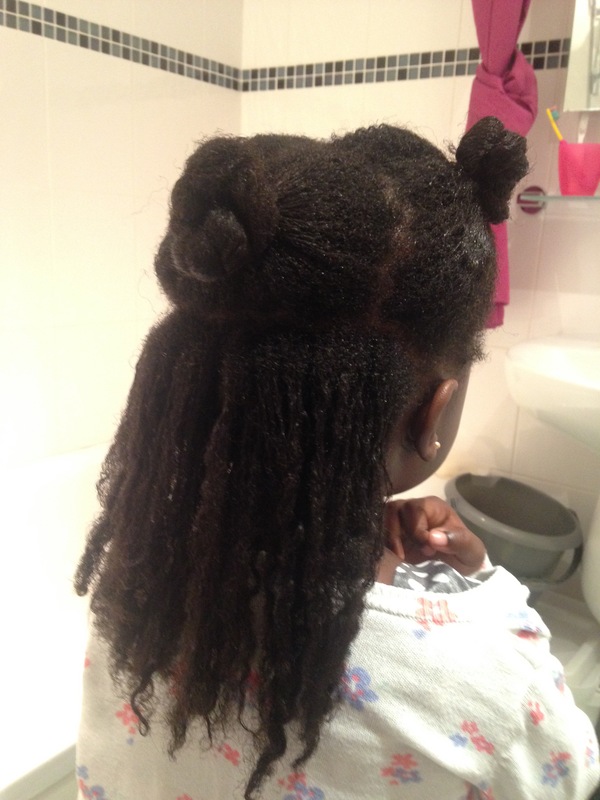 – I stopped taking my daughter to the “natural” hairstylist she went to regularly because I noticed after a year of regular appointments my daughter’s hair is half the length from when she started and it was constantly dry (which led to my search for moisturizing products). – I took measurements in various locations of my daughters hair before I started doing it myself. I tried to add a picture to show you the difference but site wouldn’t allow me to. 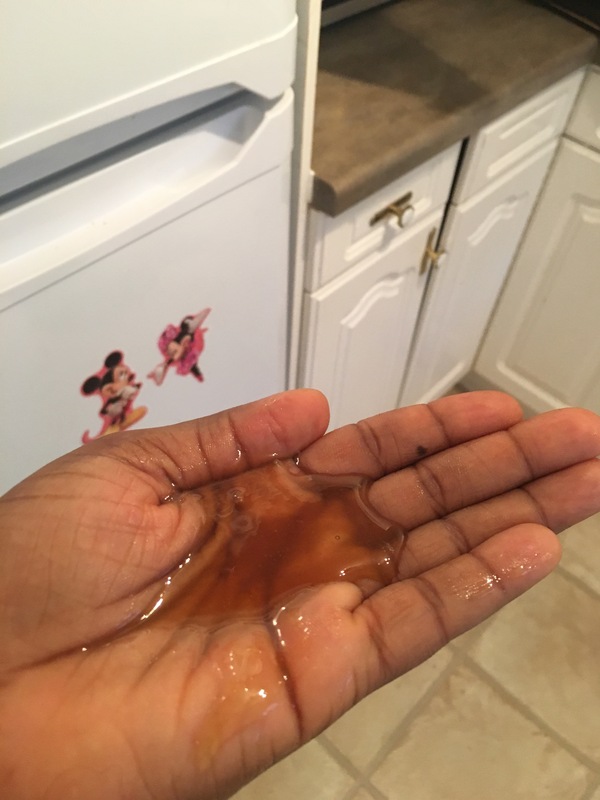 – I have now found a combination of products that seems to work magic. As of Aug 7, 2016 our Sunday morning routine consist of Garnier Fruictis Grow Stronger Shampoo, the TM Products Smooth Thru Detangler for her deep conditions, 100% Vitamin E oil on her scalp, III Sisters of Nature Leave-In Conditioner then Twisted Sista Curl Activator for a moisturizer. I am so pleased with this combination because I can now feel softness after it’s been dab dried with the t-shirt, shine is still present from start to end of the process and growth has begun. I am not sure it really is the products of the fact that I am paying more attention to her hair or the combination of both but whatever it is, I am pleased. Thanks again for your response and advice.